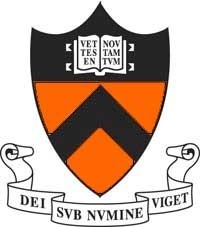 Princeton University faculty members have been selected to lead [? ]* the team of scientists responsible for a major NASA space observatory that will gauge the expansion of the cosmos and plumb the light of distant worlds. NASA announced the establishment of the mission, the Wide-Field Infrared Space Telescope (WFIRST) project, on Feb. 18. Scheduled to launch in about 10 years, the telescope will be located at a point in space roughly 1 million miles from Earth [Lagrange Point 2] and positioned to observe a wide swath of interstellar space. The mission will have two broad objectives: to study the nature of dark energy, a substance that scientists believe holds the key to understanding the expansion and, perhaps, the ultimate fate of the universe; and to directly observe and analyze light from planets orbiting distant stars as a way to understand their composition and atmosphere. Two Princeton professors, N. Jeremy Kasdin and David Spergel, will lead the teams of outside scientists [that’s better, Princeton] and experts who are developing the mission. Although both hold responsibility for the scientific success of the project, Kasdin is an expert in the observation of exoplanets, and Spergel is a leader in the study of dark energy. Kasdin is a professor of mechanical and aerospace engineering and vice dean of the School of Engineering and Applied Science. Spergel is the Charles A. Young Professor of Astronomy on the Class of 1897 Foundation and chair of the Department of Astrophysical Sciences. Dominic Benford, NASA’s Program Scientist for WFIRST, said the science mission has several major components. For nearly a century, astronomers believed that the universe had been expanding since the Big Bang and would eventually slow and contract under the force of gravity. But in 1998, teams of scientists discovered that the universe’s expansion was not slowing down; in fact, it was accelerating. There were two possible explanations for the acceleration: either scientists’ understanding of the universe, and gravity, was flawed, or there was some mysterious energy propelling the universe apart. Physicists dubbed this mysterious force dark energy and estimated that it could make up roughly 70 percent of the universe. Together with Lyman Page, chair of the Department of Physics, Spergel was one of the lead scientists for a previous NASA mission that looked for clues to explain the expansion of the universe. That mission, the Wilkinson Microwave Anisotropy Probe [WMAP] (named for the late Princeton physics professor David Wilkinson), examined microwave radiation to measure residual heat from the Big Bang. The mission concluded in 2010, and Spergel has used the mission data to produce a series of studies weighing dark energy and the observed behavior of the cosmos. The WFIRST mission will use three techniques to measure the universe’s expansion with far greater detail than anything that has come before. The telescope will peer so far out that mission scientists will be able to examine light that has been traveling over 11 billion years — most of the 13.7 billion years of the universe’s existence. The instruments will use exploding stars called supernovae as a benchmark to measure the universe’s expansion. Because the color and brightness of supernovae is governed by well-understood physics, scientists can use the varying levels of brightness from these explosions to measure their distance. Another technique will take measurements of hundreds of millions of galaxies and use tiny distortions to attempt to map the distribution of dark matter. A third technique will take spectroscopic measurements of billions of galaxies to develop a three-dimensional distribution of the universe’s expansion. Taken together, readings from the instruments should give scientists a better understanding of the mechanisms driving the universe’s expansion and provide insight into how it fits into current theories of physics. “These are all tests of the underlying nature of the universe,” Benford said. Spergel and Kasdin were thrilled to learn of the new telescope but there was an immediate problem: the scope’s supporting structure was completely wrong to fit the device Kasdin’s team would use to observe distant planets. Most telescopes use thin supports, called spiders, to attach mirrors to the scope’s exterior barrel. Besides holding the mirror in place, the spiders slightly change the direction of light entering the telescope — they are responsible for the rays that emerge from stars in astronomy photographs. For most astronomy projects, this slight diffraction does not matter, but because Kasdin’s project relies on channeling light to an incredibly precise degree, many people did not think it would be possible to use the repurposed telescope. “The telescope was not designed for it, but Jeremy and Bob Vanderbei figured out a way,” Spergel said, referring to Robert Vanderbei, a professor of operations research and financial engineering at Princeton. Currently, most planets have been detected around distant stars by recording slight variations in the stars’ light caused by transiting planets that obscure part of the star. The coronagraph, on the other hand, would allow for direct observation of the light from the planets. This would allow astronomers to learn much more about the composition of the planets and their atmospheres — both by observation and spectral analysis. “It is a quantum leap in capability,” said Adam Burrows, a professor of astrophysical sciences at Princeton and a member of the WFIRST exoplanet team. Burrows said the project will allow scientists to discover “what these planets are made of, how they develop, what is their character.” This information will allow scientists to develop theories about how variations in stars impact the evolution of planetary systems, he said. “This is a real stepping stone,” Kasdin said. *I think it is far fetched to think that NASA wiould let any outsider actually lead a science mission. Maybe this was just poor editing.